There’s no guaranteed way to protect your home from basement flooding. One nasty storm or a burst pipe, and its game over. That’s where Project X Restoration in Denver comes in to save the day. Make us your first call if your basement floods, and we’ll respond no matter the day or time. 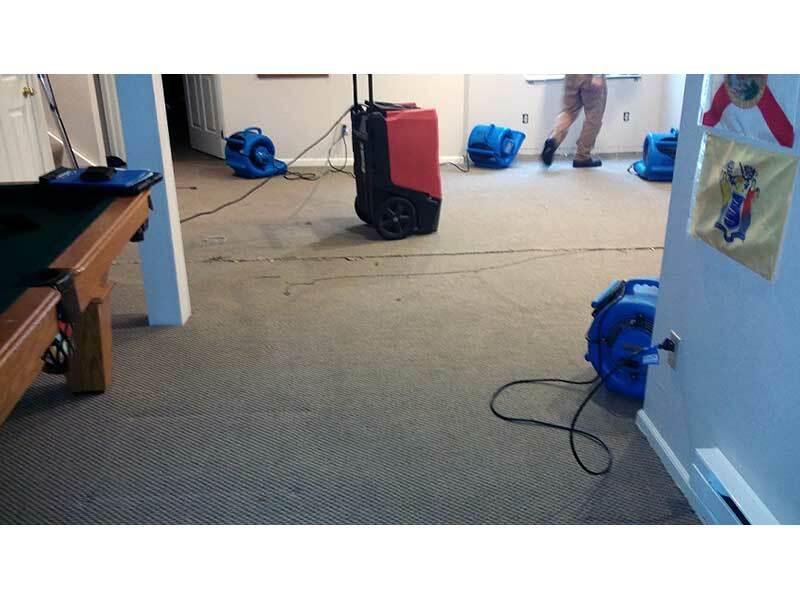 Our experts will stop the water damage before it spreads and get your home or business back to its original condition. To protect your home from basement flooding, there’s actually a great resource called the Handbook for Reducing Basement Flooding from the Institute of Catastrophic Loss Reduction. This complete guide gives suggestions on what you can do to be more knowledgeable, and of course, better prepared. Let’s take a look at a few highlights from the guide. First and foremost, you should know what your insurance covers and if it’s adequate enough to cover a flooded basement. Talk to your insurance agent and make sure you have coverage for repairing water damage and sewage backups, as well as restoring your basement and replacing its contents. While we all know that basements can flood, many of us don’t take the precautions necessary to reduce our risk. Here are six great ways to keep your basement dry or lessen the damage. Oils and grease should be thrown away. Don’t pour them down your drain because they can back up your pipes. They solidify when they cool and can cause a backup that could flood your basement. To protect your home from basement flooding, make sure you have good drainage from your roof. If you don’t clean your eaves and downspouts, clogs can cause water will fill up and spill over. In winter, pooled water may freeze, causing breaks and water to run down, which can collect at the foundation. If the groundwater level around your home gets high, it may be able to get into foundation cracks and cause a leak. If you have cracks in your home’s foundation or walls, seal them up. Storm sewer grates located on the street are responsible for storm runoff drainage to the storm sewer. These grates can get covered with debris and prevent water from draining, which can then cause or worsen flooding. Keep the debris away from the drainage grates. A sump pump in your basement collects groundwater and pumps it away from the house. If you don’t have one, you should absolutely get one. If you do have a sump pump, make sure it’s sized properly, maintained, and has backup power. Since your basement is the most likely area in your home to be flooded, be careful of what you store on the floor. If you can, put your things in protective bins and up off the floor on shelves. Also consider not putting expensive or sentimental items in the basement like TVs and other electronics, gaming equipment, pool tables, exercise equipment, heirlooms, and antiques. There are several things that can be done around your home to make a flood less likely. While the scope of these projects might be beyond the abilities of a handy homeowner, they can certainly help protect your home from basement flooding. These are also great things to look for when buying a new home! Foundation Drainage System – There are a variety of types, such as the French Drain, all of which direct water away from the home and its foundation. Lot grading – Make sure the slope of your yard allows the water to flow away from your home. Backfill – You should fill and grade any settled backfill areas close to your foundation so it will allow water to drain away from the home. Fix Reverse-Slope Driveways – A reverse-slope driveway is one that goes downhill towards the home, rather than downhill toward the road. These driveways increase your chance of flooding. Think about changing your driveway slope. We hope you find these suggestions to protect your home from basement flooding helpful. Of course, even if you take every precaution in the book, flooding may occur. That’s when you’ll be happy to know Project X Restoration in Denver. We’ll respond no matter the day or time. Our experts can mitigate damage and start the process of restoring your property right away.